Training is supposed to take you to the goal at the shortest way and at the fastest time. There's no point in training if it doesn't take you to the goal in most efficient result. Successive points in sports are, to be faster and stronger in any kind of sports. Speed training brings out the most of this ability to move faster and stronger. The image we’d like to convey is that of nerves reaching and stimulating the muscles. Your movements will become sharper and lighter. This program is recommended for those who want to maximize the potential of their training. Over 100,000 athletes have benefited from this speed training, as this training is the mainstream of the fitness center around the world. 60 minutes a day, and in 3 weeks, you'll find difference in competition ability. 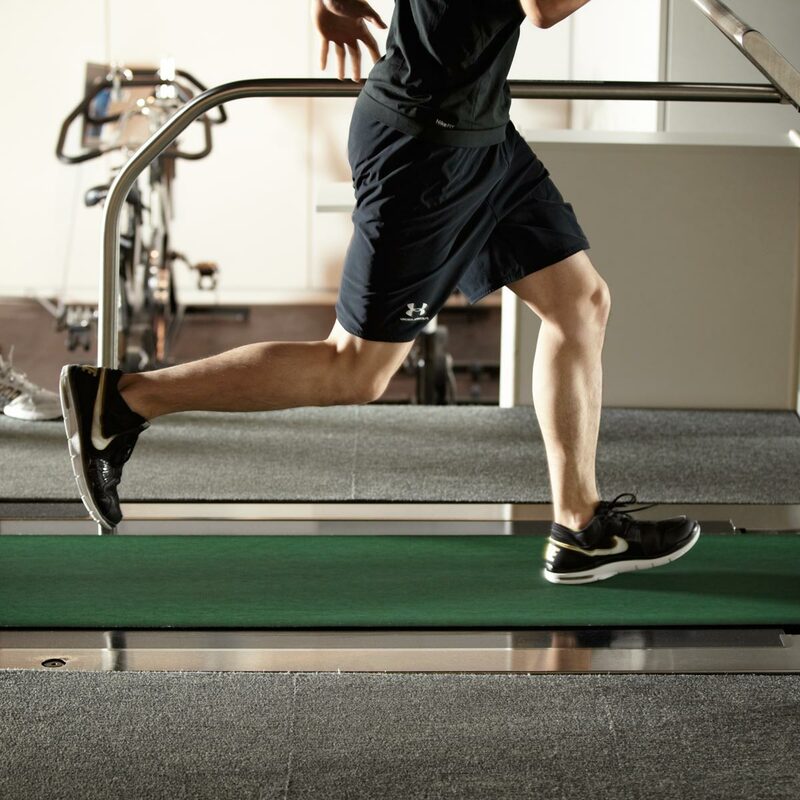 Super treadmill is a running machine, which tops speed of 28 mph (44.8 km/h), and slants up to 40 degrees. You will be able to achieve both expansion and the increase of the pace of the stride, which is two elements for speeding up by coordinating interval time, speed, and slant. It aims at moving precisely even if nervous system is not conscious, by calculating movement in each competition. At the time of highest heartbeat count (85%), called Anaerobic threshold (AT), the ratio of the carbon dioxide grows larger than oxygen within the blood of muscles. This situation is, for example, when you are running with your head thinking that your leg is up high, but instead it is not as high as you thought it will be. Raise up your heartbeat count with running on the super treadmill, and once your heartbeat comes down to AT, start running again. By repeating this, even in an extreme situation, you will be able to control your body and also gain the durability of the power. Lock your upper body, and move only the lower part of the body while jumping, you’ll be able to reinforce each independent characteristic of your upper and lower body. With this training, the muscle of the body links with good balance and acquires the ability that can cope with various movement more smoothly of each competition. As body trunk balance rises, the sense of the body in the space improves, and jumping strength in the competition, swiftness characteristics, basics physical strength of the reaction also improves.